Phoenix Credits are a special in-game currency used for purchasing high level equipment. Players can receive these credits via UPlay rewards from the Rewards Claim Vendor who is located in the Base of Operations (BoO) or earn them through high level activities (daily missions, incursions etc). Phoenix Credits are exactly as expected - they're an end game currency used to buy high-end gear and weapons. This includes purple and yellow items but also blueprints that you can purchase to get a headstart in crafting some of the game's best weapons. You still need crafting resources to complete the blueprint build and must meet the level requirements to use the crafted item of course. 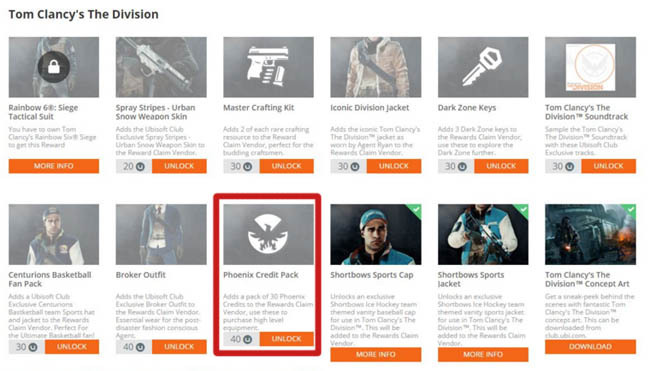 For absolute clarification, Phoenix Credits are separate to Dark Zone credits and only a few "select" vendors actually accept Phoenix Credits as a form of payment. Although we saw a high-end vendor in the Beta, you won't find the same vendor in DZ1 or DZ2 in the full game - you'll need to venture much further north to Dark Zone 6. How do you get Phoenix Credits? There is a limit of 1000 credits per account. Update: Ubisoft have nerfed the drop rate for Phoenix credits. Previously you could earn around 5-15 credits per elite enemy but that has been reduced to 1-2. We don't know yet whether these credits are separate to DZ credits and PvE credits or whether they behave more like Legendary Marks or Strange Coins from Destiny. It's entirely possible that a Xur like character will appear on a regular basis in The Division to offer us unique or exceptional gear or a rotation basis. I first spotted the new credits on the Ubisoft Club page which was updated a few days after the Open Beta. For those of you who are not familiar with Ubisoft Club, this is a place to purchase packs using your Ubisoft "units". 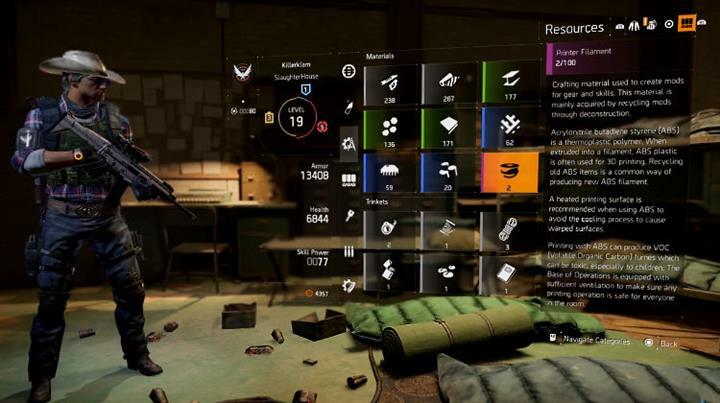 Units are earned by completing in game tasks on various Ubisoft titles such as Far Cry Primal and Just Dance. It is also worth pointing out that Ubisoft Club is not a P2W mechanism - you can't buy packs with real money! Therefore players cannot buy their way to high end equipment before other players have a chance to legitimately do it. The P2W fear was dispelled further by Natchai Stappers, the Community Manager for Ubisoft. In a tweet questioning the use of Phoenix Credits he replied to confirm that The Division will NOT contain micro transactions or P2W schemes. We don't know much more about Phoenix Credits yet but I'll update this post once things become a little clearer.